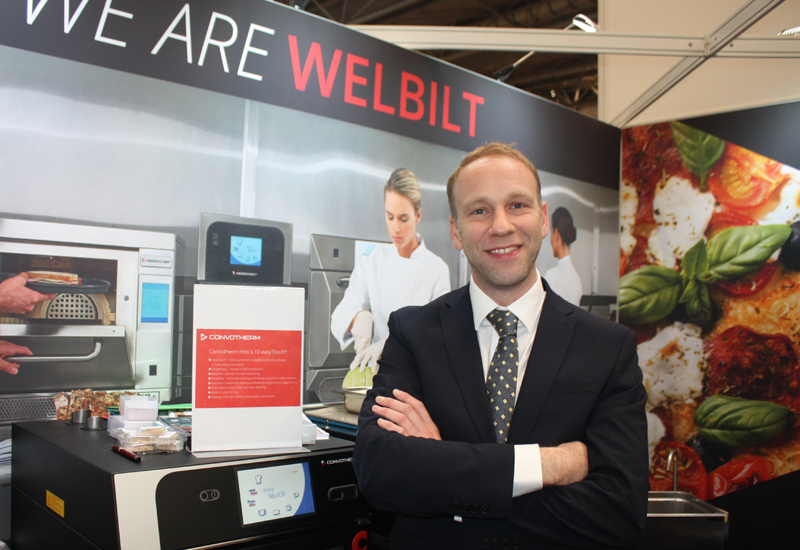 Speed and design have been the talking point for operators visiting Welbilt’s stand at the Professional Kitchen Show over the past two days, according to the company’s new channel manager for distribution and specifications, Alistair Farquhar. The US-based catering equipment giant has been exhibiting under the moniker ‘We Are Welbilt’ in a bid to showcase the portfolio of brands it offers, including Merrychef, Convotherm and Garland. 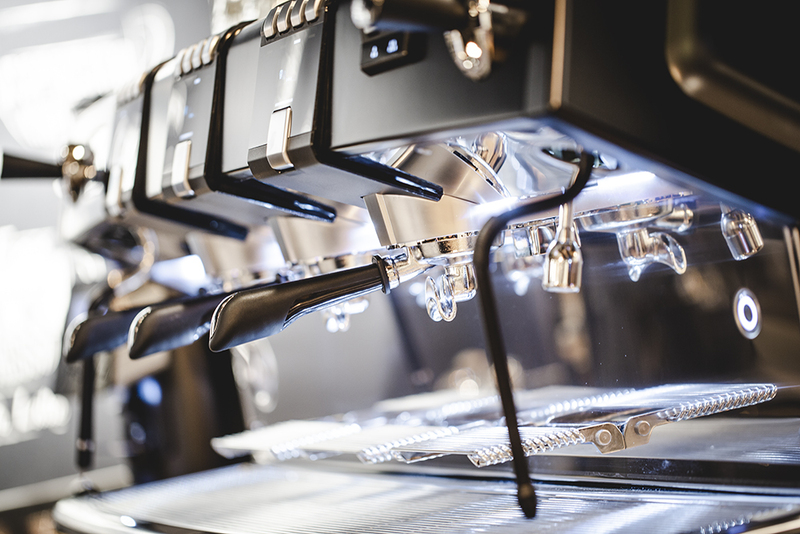 Equipment from Crem, the coffee equipment brand that Welbilt acquired last year, is also featuring at a UK show for the first time. 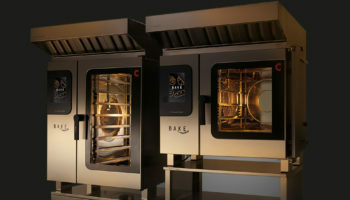 One of the main highlights is the newly-unveiled black Merrychef e1s high-speed oven. 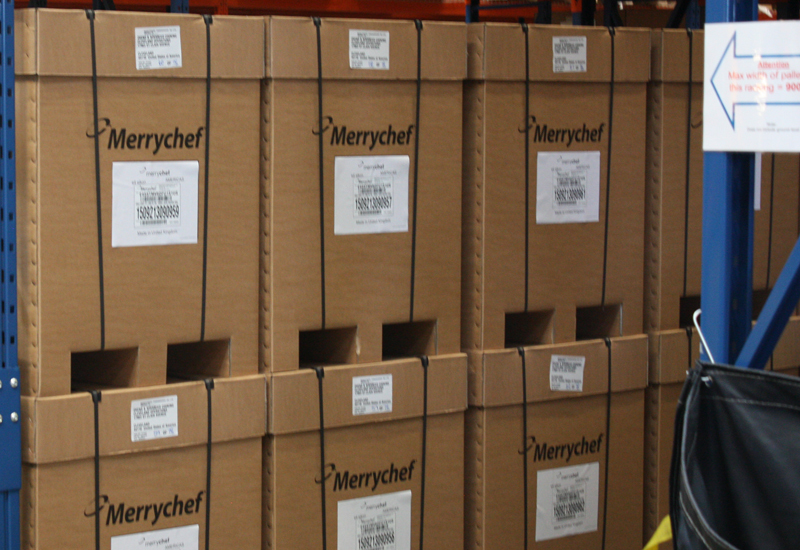 Although designed in the UK, it is the first Merrychef oven to be manufactured in China, allowing the company to reach a pricepoint aimed at opening it up to a customer base that previously evaded it. 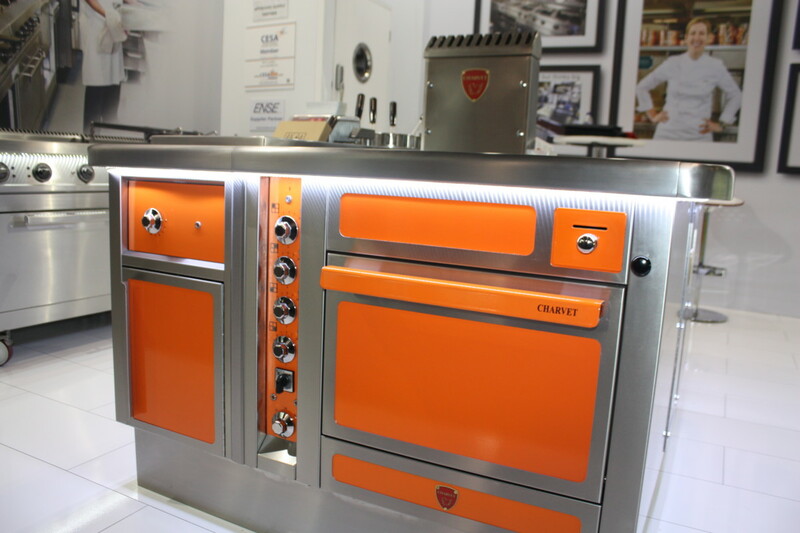 “Merrychef is a very well-positioned brand and visitors to the stand like the different colour,” said Mr Farquhar. “We are seeing people interested in non-stainless steel-looking kit because it is a lot more front-of-house, hence why we developed the black range. 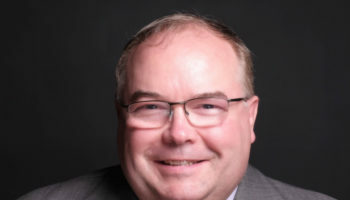 Welbilt recently restructured its UK leadership team in a move that also saw sales director Steve Hemsil assume responsibility for overseeing the main customer touch points, including the customer service and marketing teams. The rejig is designed to leave it better prepared for managing new equipment launches in coming years and offer more dedicated support to customers. Mr Farquhar said this week’s show has been an opportunity for the company to talk customers through the changes.